How do I control diaper odor? Even the most diligent parent will face diaper odor. When a baby cries parents assume one of two things: they’re hungry or they need changed. But what happens when the baby isn’t hungry or doesn’t need changed? We know they can’t tell you – but maybe they don’t like the way their room smells! You may clean with heavy pine scented detergents or spray with flowery room fresheners, but you are not eliminating diaper odor. In addition, these artificial cleaners may annoy your baby’s sensitive nose. One of our top inquiries is “how to eliminate stinky odor from diaper pails?” Whether you use cloth diapers or disposable diapers, now there is a safe and effective alternative that you can use with confidence to eliminate the smells from diaper pails and musty closets and drawers. 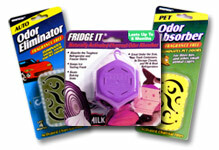 Innofresh activated charcoal odor eliminators are ideal for your baby’s room. 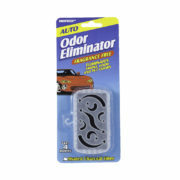 Our specialized activated carbon is 100% fragrance free and allergen free. 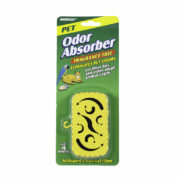 These amazing air fresheners absorb and neutralize odors rather than masking with a strong and sometimes irritating fragrance. 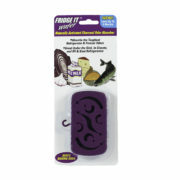 With Innofresh activated charcoal odor absorbers, just clip or place on or near the smelly area including diaper pails, hampers, closets, drawers and shelves. 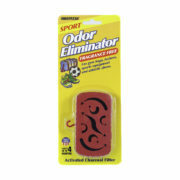 No sprays to contend with and no messy powders and harmful chemicals to irritate your child. Fridge IT was reviewed by Jen, author of the blog baby2green. 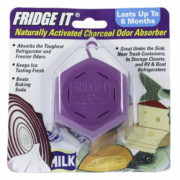 She put Fridge IT activated charcoal odor absorbers through one of the toughest tests – stinky diaper pail odor. “As everyone knows – diapers stink. I knew that there had to be a green way to control odors inside the home without spraying toxic chemicals to cover up the smell, but I couldn’t find anything …then I found Innofresh”. Maybe baby has gotten used to the smells in the nursery. But there’s almost a guarantee that parents and grandparents haven’t. Give everyone a break including baby and baby sitters, place Fridge IT cubes and wafers strategically throughout the room – and especially near the used diaper receptacle. When traveling with your bundle of joy and you carry a used diaper bag, place a wafer at the bottom. Your nose will thank you.